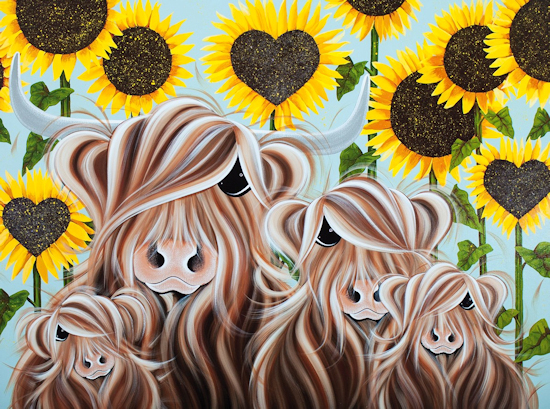 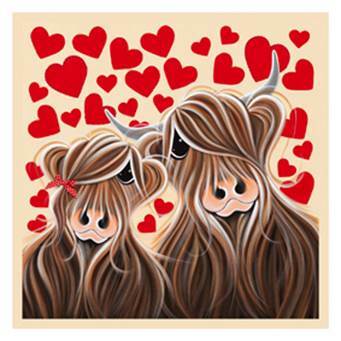 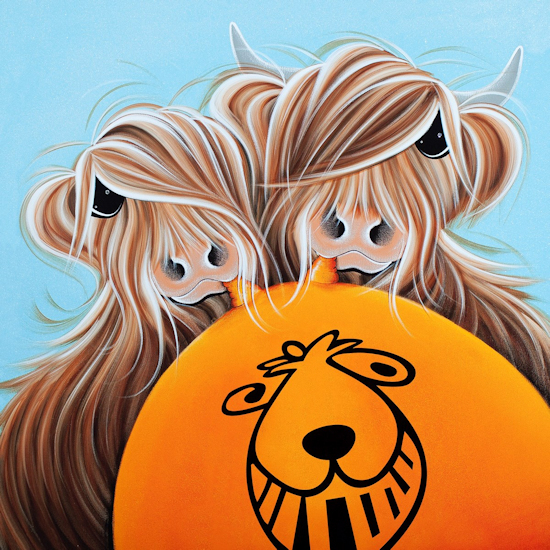 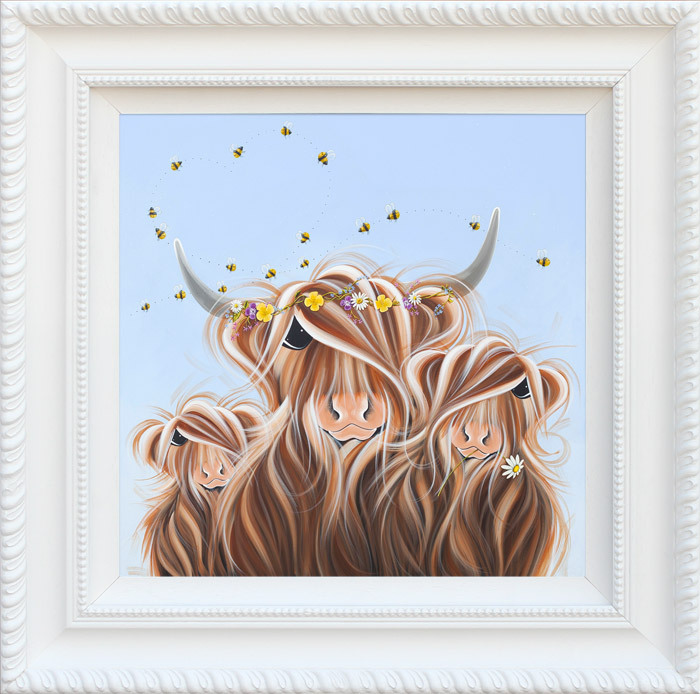 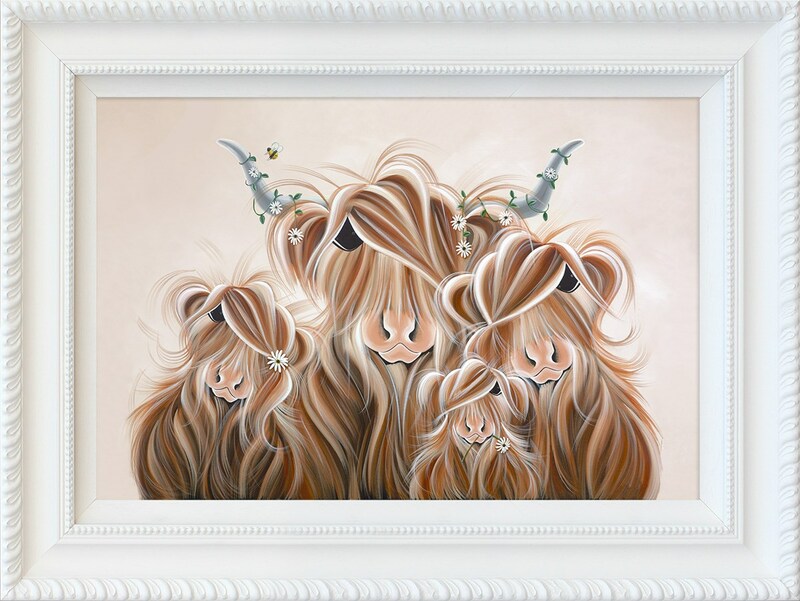 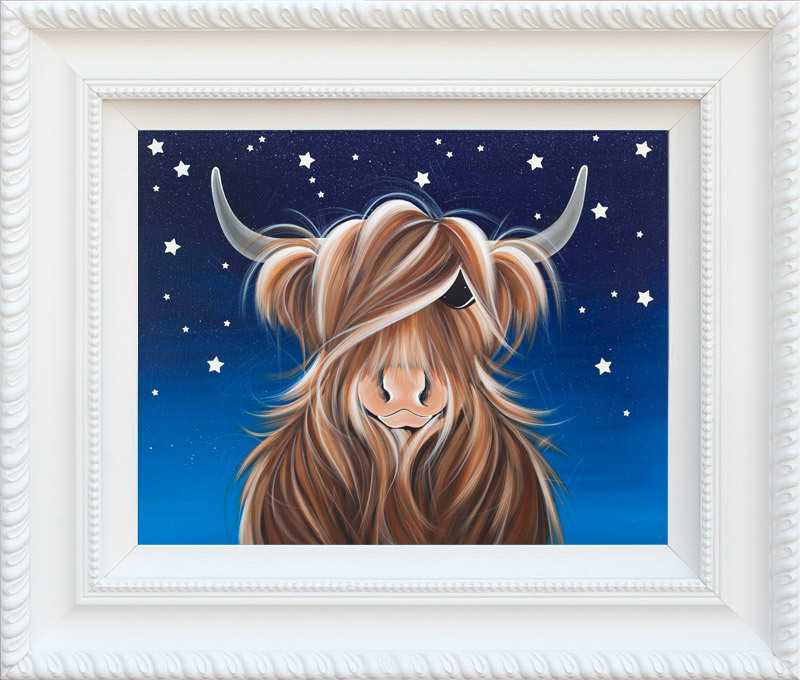 Jennifer Hogwood’s bold, distinctive style arises from an unerring sense of colour, a singular talent for observation, and a huge affection for her highland friends ‘The McMoos’. 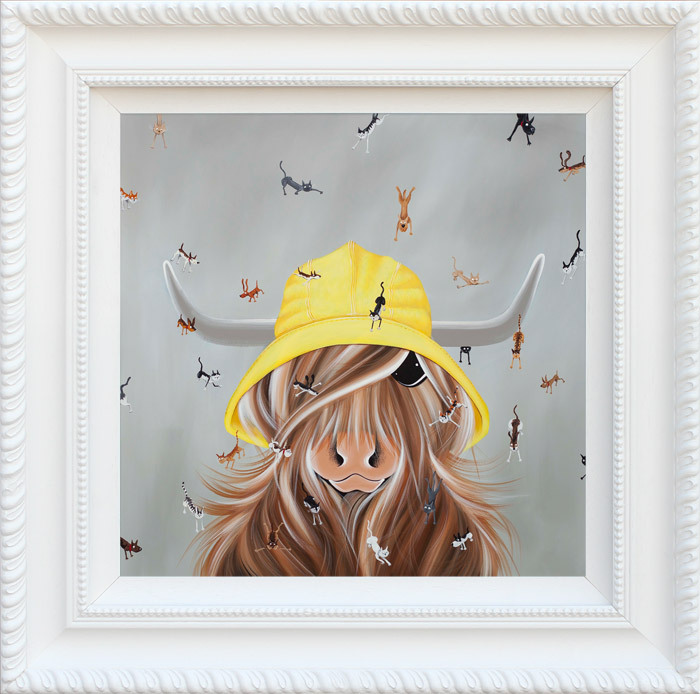 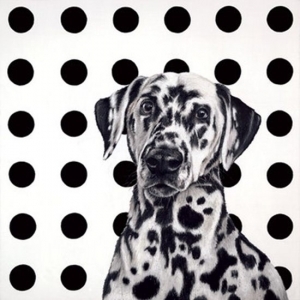 Her endearing images communicate the essence of her subject with humour and charm. 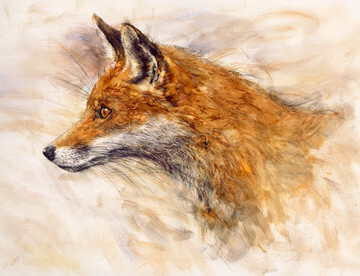 Before starting to paint, Jennifer spends time with a pencil sketching freehand, adding more and more detail until she feels the composition is perfect. 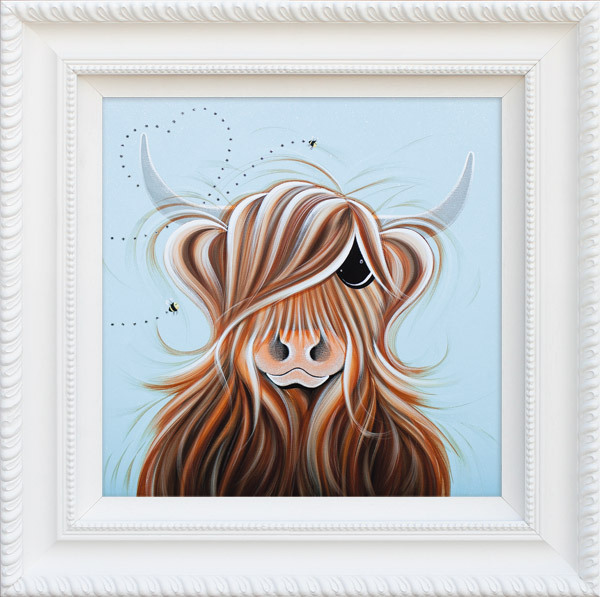 She then begins to apply the paint in layers, drying it as quickly as possible in order to build up a richness of colour and texture, then adding other elements to bring character to each piece. 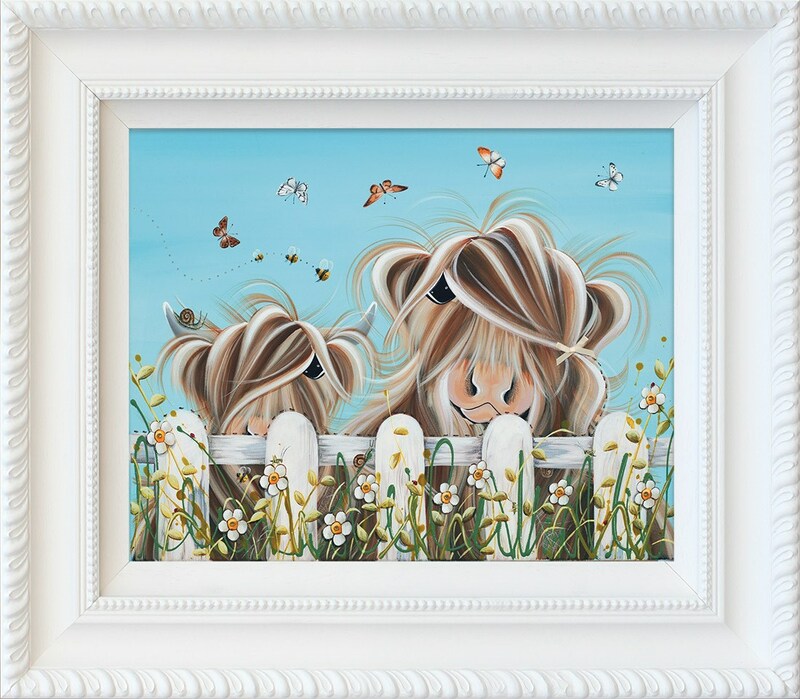 The collectable editions reflect this, being beautifully hand embellished, with little jewels to add a sparkle to their eyes. 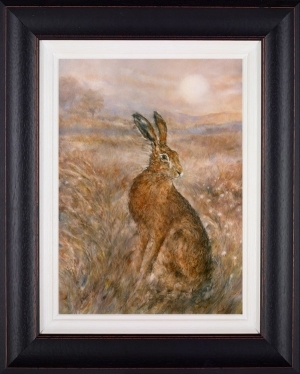 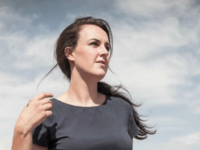 She has created her own unique shade of brown which she uses in every painting; knowing exactly how it will react if she adds a touch of white or dark makes the painting process flow with ease. 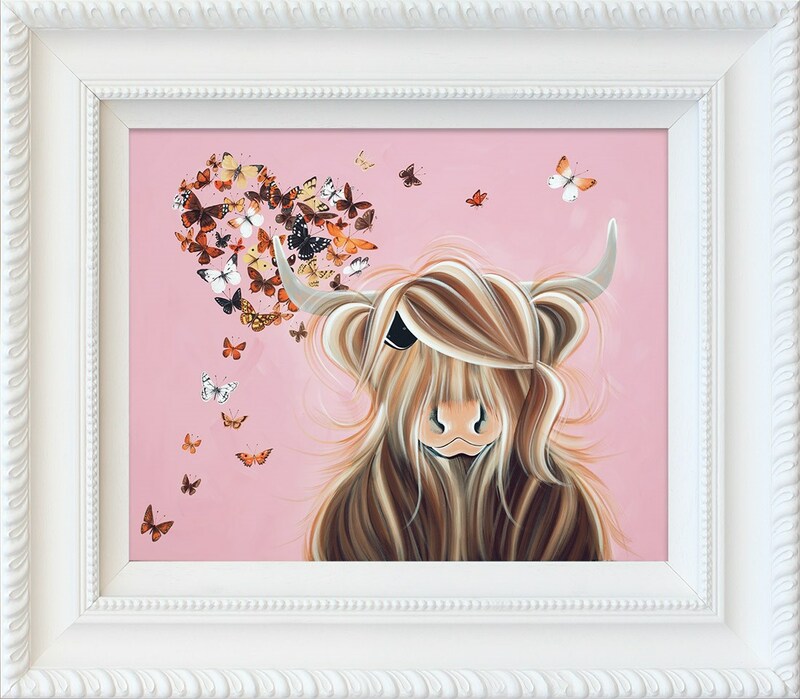 She begins each painting with the nose and works outwards, adding in the layers of detail until the final stages of white highlighting. 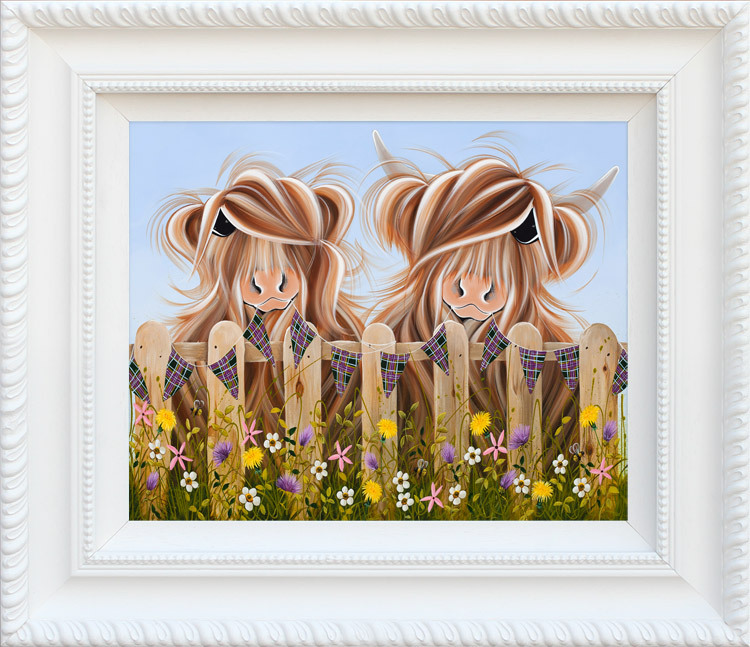 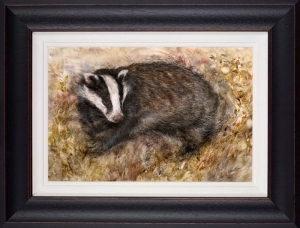 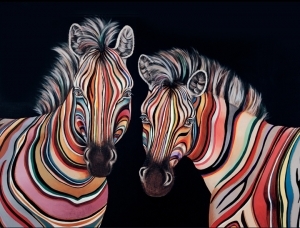 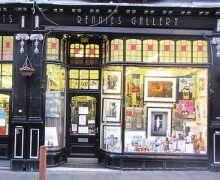 Please contact us if you are interested in acquiring an original painting by Jennifer Hogwood.